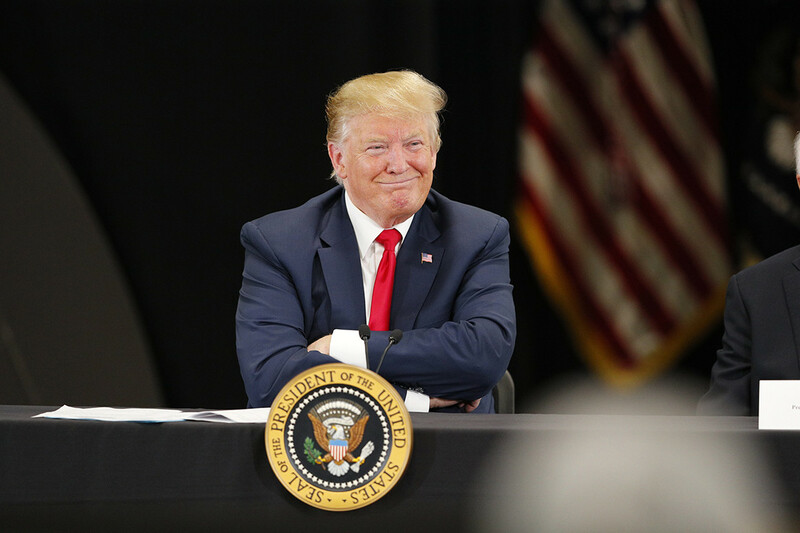 President Donald Trump on Tuesday predicted Bernie Sanders and Joe Biden will be the last two Democrats standing in their party’s crowded 2020 primary field, debuting nicknames for both of his potential opponents. The Vermont senator and the former vice president have led nearly every poll of the sprawling 2020 Democratic field, despite Biden having yet to actually enter the race. Trump has previously said he would welcome either man as his opponent next year, though he’s projected confidence he will be able to beat any candidate that Democrats nominates. Sanders, a self-proclaimed democratic socialist, campaigned in 2016 and is campaigning again ahead of 2020 on a message of economic populism that bears similarities to the president’s 2016 run. Trump has already been outspoken against some of Sanders’s agenda, including his Medicare-for-all healthcare proposal, which has become a litmus test of sorts for the rest of the Democratic field. But while Trump has privately fixated on Biden, beloved among working class voters that are key to the president’s base, as one of his most serious potential competitors, he’s brought his criticisms of the former vice president out in the open in recent weeks. Trump seized on the raft of women who came forward in recent weeks to accuse the former vice president of inappropriate physical contact, tweeting out an edited version of Biden’s apology video and joking about Biden at a House GOP fundraising dinner. The president recently told reporters he wasn’t threatened by Biden, arguing that the former vice president is his own worst enemy. Trump’s aides have also mocked the two Democratic frontrunners, noting the irony of two older white men leading the most diverse primary field in history and potentially being picked to lead the party after 2018 was dubbed the “year of the woman” after a wave of female candidates were swept into Congress in last year’s midterms.